Free chats that are more reliable than text messages and available anytime, anywhere, twenty-four seven, with as many people you want. Send up to 100MB of files in your PC in various file formats, such as documents, videos, images, voice file and zip files. Exchanged files can all be seen in your PC or mobile device. If you're tired of the same old chat room, change yours so that it looks like an Excel spreadsheet. Customize the font and size, and feel the unique enjoyment of chatting on an Excel sheet. Forgot to log out from KakaoTalk on your PC? 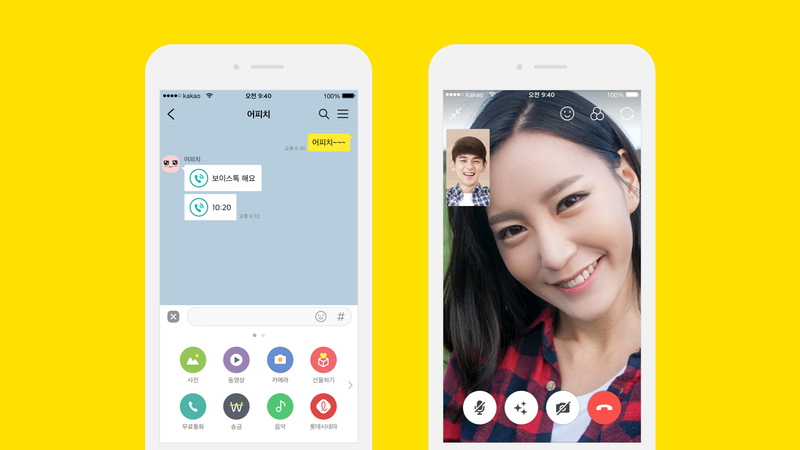 Go to ‘Mobile KakaoTalk – More – Settings – PC Version’ to log out remotely. Lock mode for privacy protection. Setup the lock mode if the PC is used by multiple people or if you are stepping outside for a while. The lock mode is safe, since a password has to be entered to unlock and check messages. 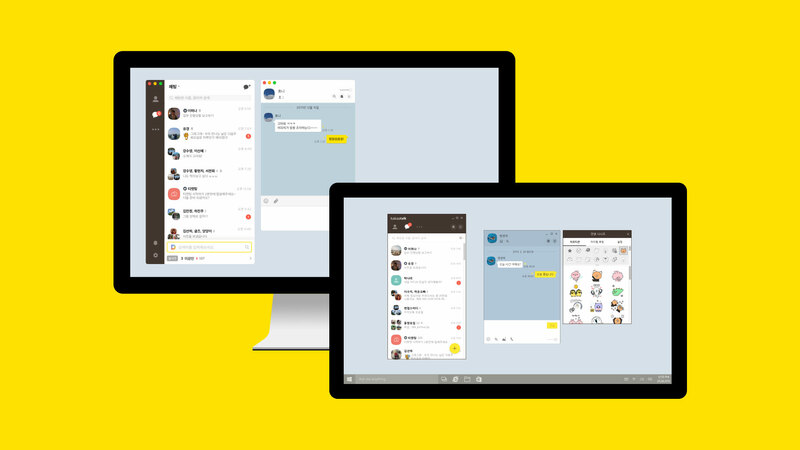 Now enjoy unlimited free calls with your KakaoTalk friends on your PC, even with friends from overseas. Voice calls and video calls are also available. Make voice calls and video calls to your friends for free. Make your conversation more fun with Talking Tom and Talking Ben voice filters and unique video filters..
KakaoTalk Open Chats, which starts with a single link. 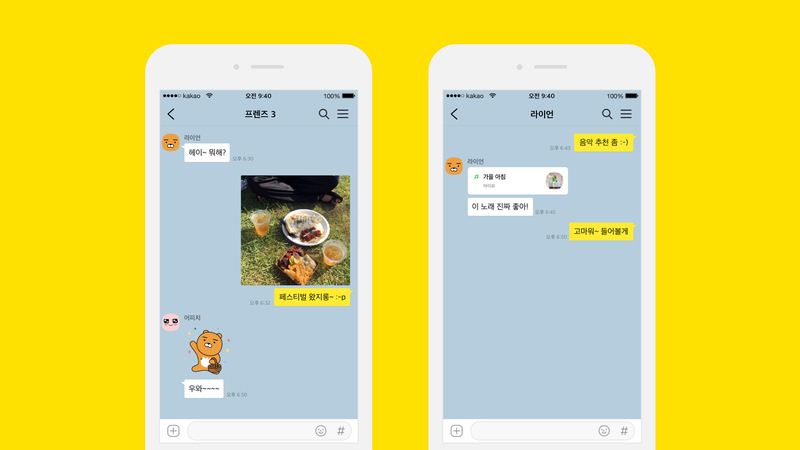 When you want to change without adding new friends, open a link to activate KakaoTalk Open Chats. 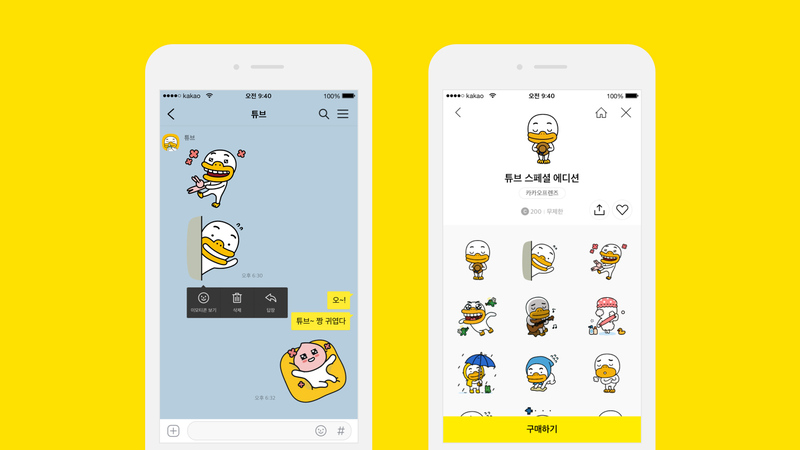 Have more fun with KakaoTalk with cute Kakao Friends stickers, animated emoticons and pretty themes. 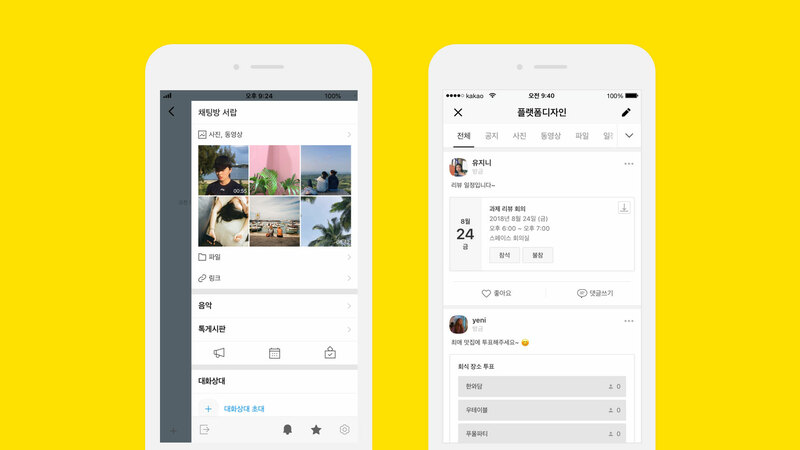 Decorate KakaoTalk backgrounds, which you see dozens of times a day, with your favorite images! 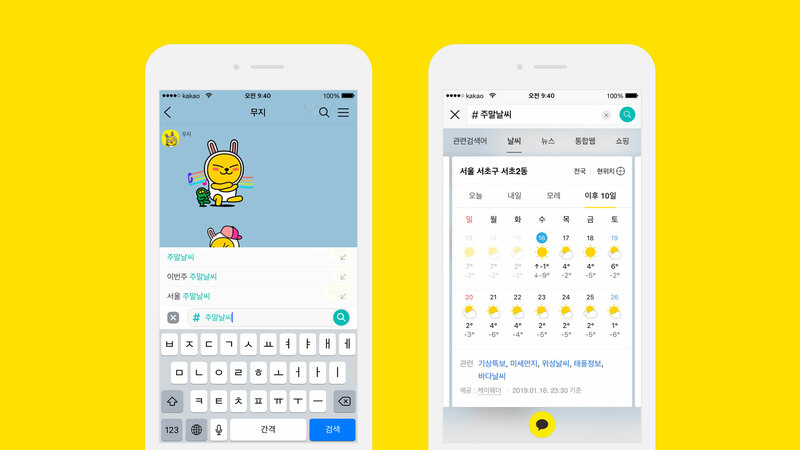 Search while chatting on KakaoTalk with Sharp (#) Search! What should I eat today? Will it rain tomorrow? Search during chat and share. 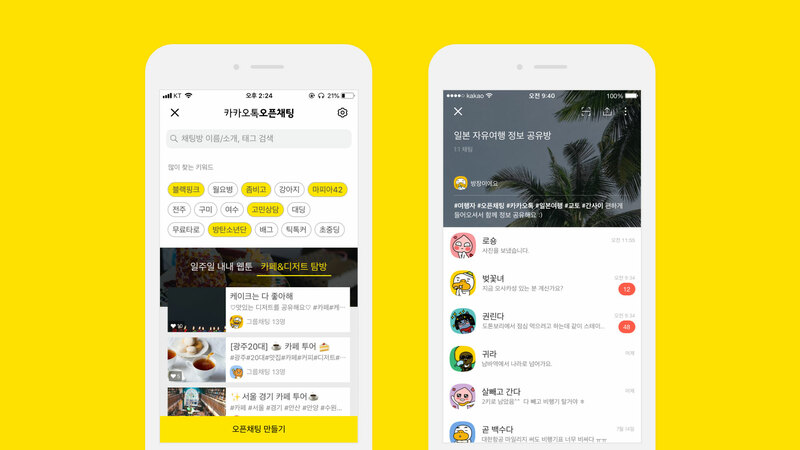 Easily manage meetings with KakaoTalk Boards! Meeting management is easy with alerts, schedules and voting features. Upload and save precious memories on the board. 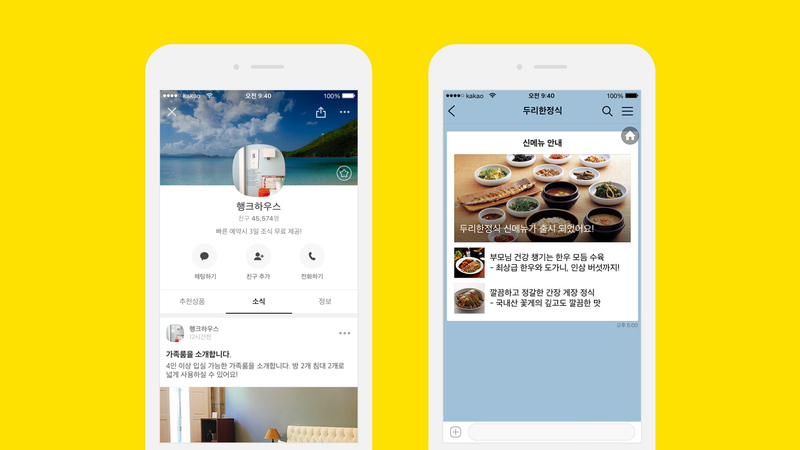 A business home in KakaoTalk, free so anyone can use it to make friends and communicate with other users. 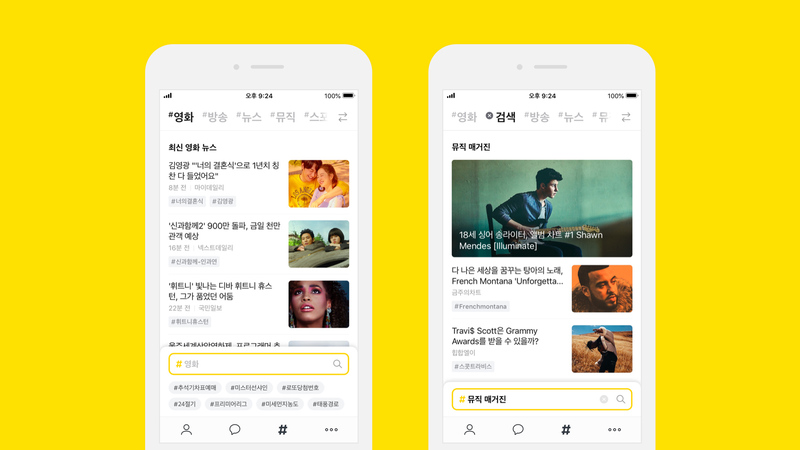 The beginning of a new search tool optimized for Kakaotalk! Enjoy rich content organized by topic and the convenient bottom search bar.